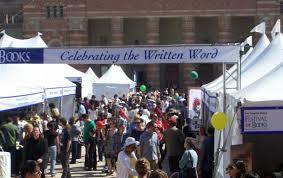 Catamaran will be an exhibitor at the Los Angeles Festival of Books at BOOTH 203. Our booth will be open Saturday and Sunday, April 13-14, from 10am to 5pm daily on the beautiful USC campus. The festival is free to attend and there are special literary events and panels daily. Catamaran will host a Broken Kingdom book signing at booth 203 with Michelle Bitting at noon on Sunday, April 13 before her poetry reading at the Poetry Stage. Editors will be at the booth to talk to you about publishing your work in Catamaran. We will have our current print issue of Catamaran, as well as several back issue editions available. We will also have copies of Michelle Bitting’s Broken Kingdom, winner of the 2018 Catamaran Poetry Prize.